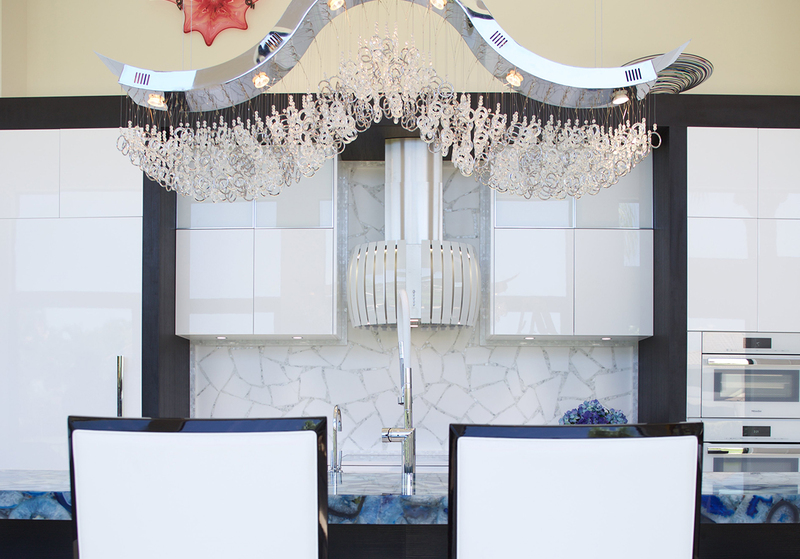 Dark chocolate matte wenge melamine frames white gloss lacquer and white glass ovens from Miele. 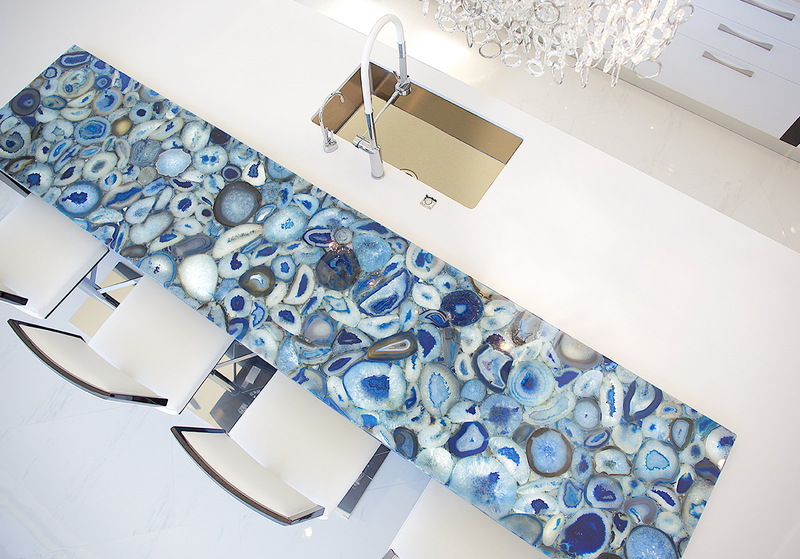 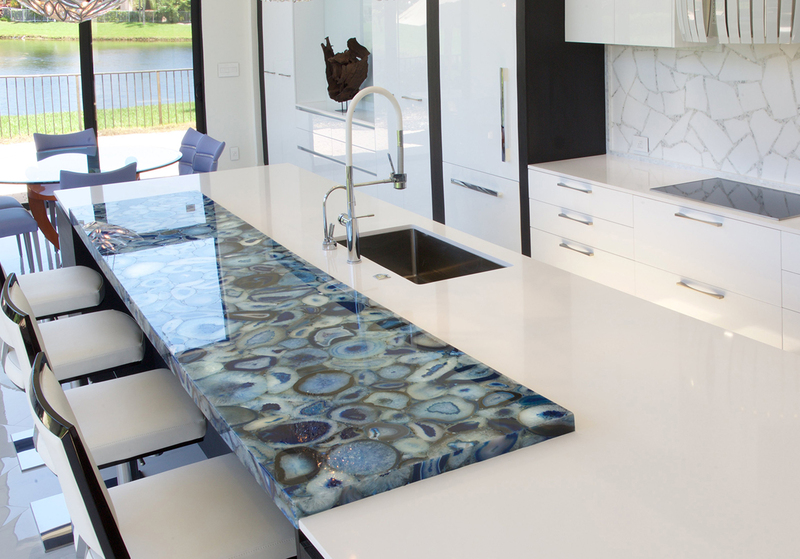 The 16’ wenge island sits center stage and promotes elegant entertainment with the raised cobalt blue agate from Caesarstone. 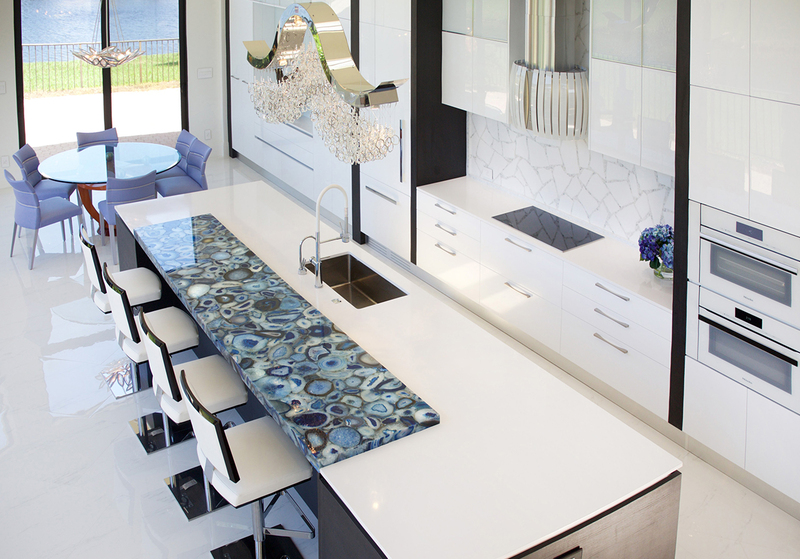 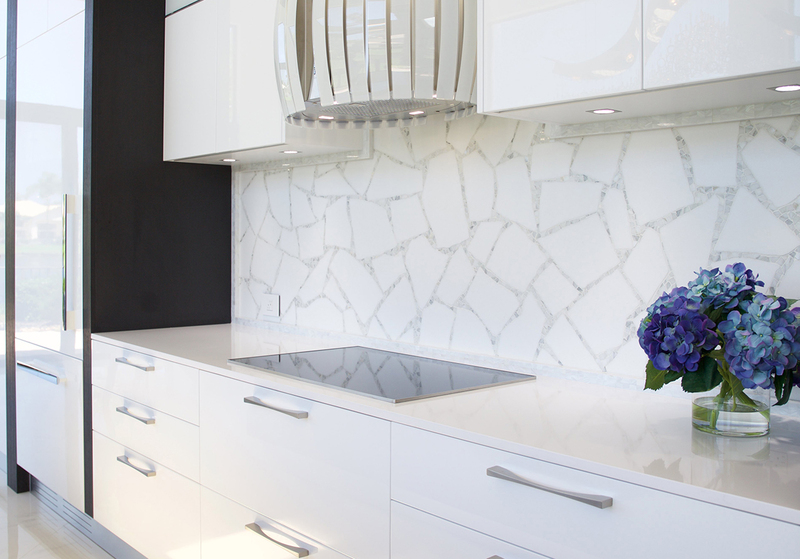 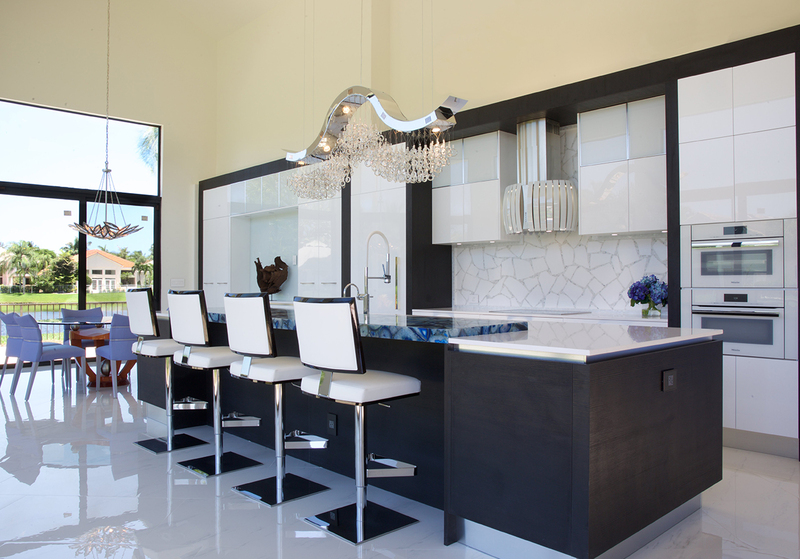 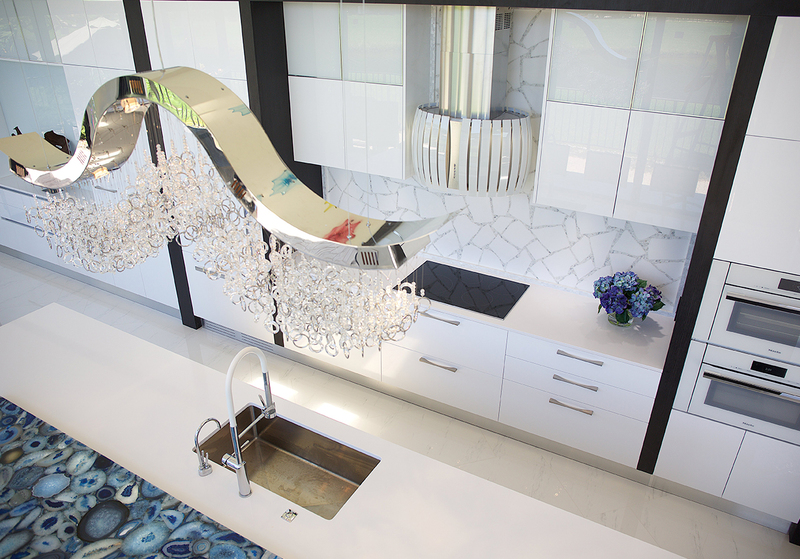 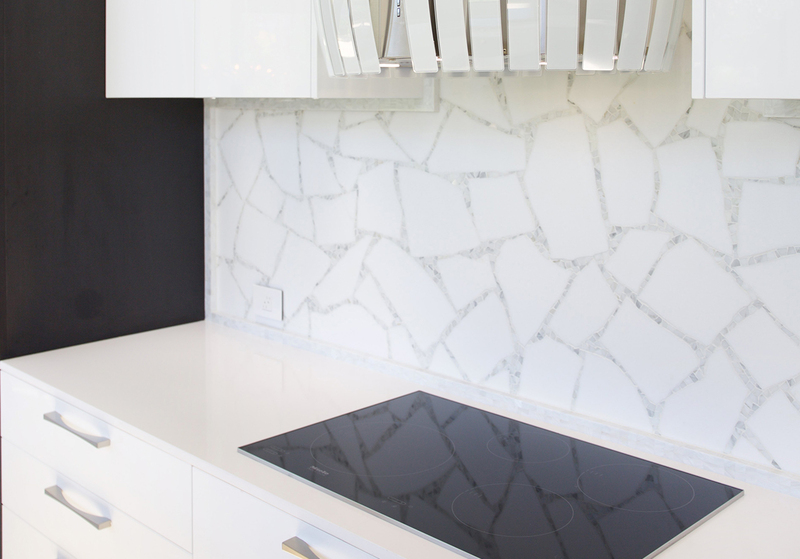 To balance the back-lit stone, hangs a white glass island hood from Falmec. 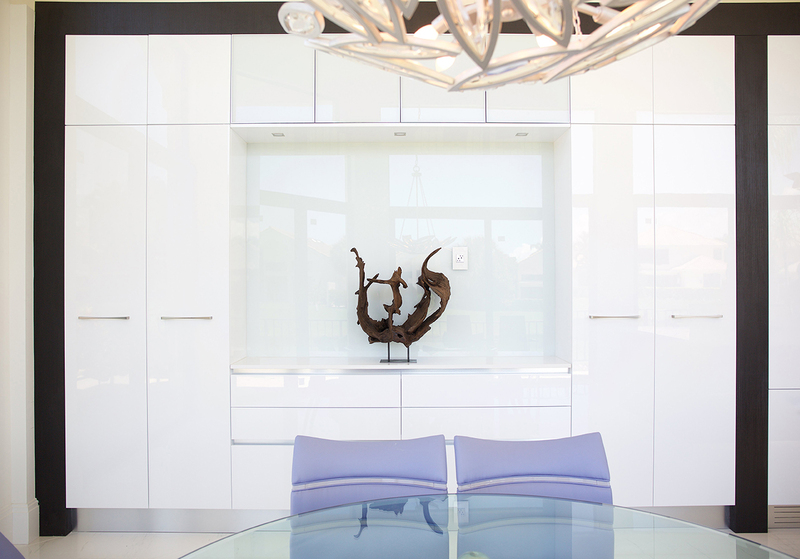 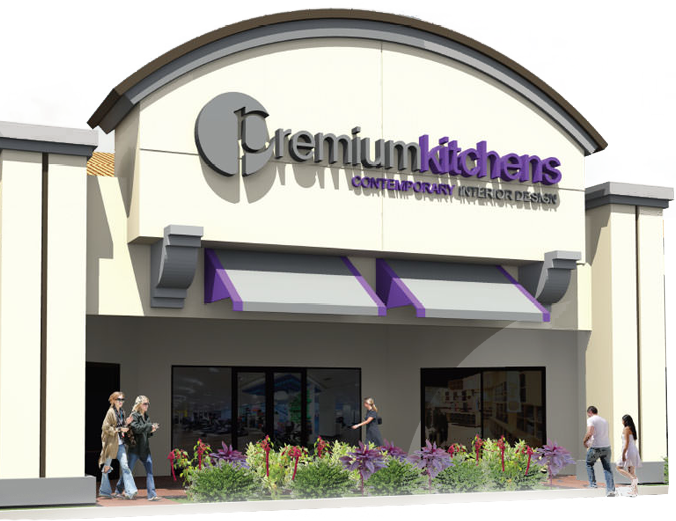 In the breakfast area, white gloss lacquer continues to house plenty of storage and a large open area for art… or a big screen tv.